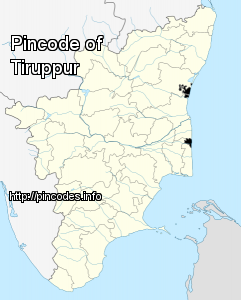 Tiruppur or Tirupur ([t̪ɪɾɨppuːr] �Tirupur.ogg�) is a city in the Kongu Nadu region of the Indian state of Tamil Nadu. Tiruppur is the administrative headquarters of Tiruppur district and the fifth largest urban agglomeration in Tamil Nadu. Located on the banks of Noyyal River, it has been ruled at different times, by the Early Pandyas, Medieval Cholas, Later Cholas, Vijayanagar Empire, Madurai Nayaks, Mysore Kingdom and the British. It is situated at the center of the South Indian Peninsula, about 450 kilometres (280�mi) southwest of the state capital Chennai and about 50 kilometres (31�mi) east of Coimbatore.